This is another item that I really like. In 1971 Bazooka printed football cards on the back of their bubble gum boxes. Fortunately, a lot of complete boxes exist (unlike the Post Cereal Cards). 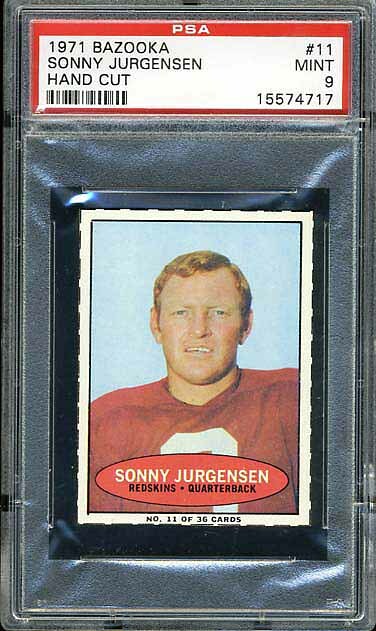 There are two Redskins football cards in the set: Larry Brown and Sonny Jurgensen. Their boxes appear below along with a nice hand-cut version of the Jurgensen card.